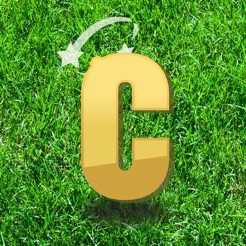 Now updated with a new look and feel! 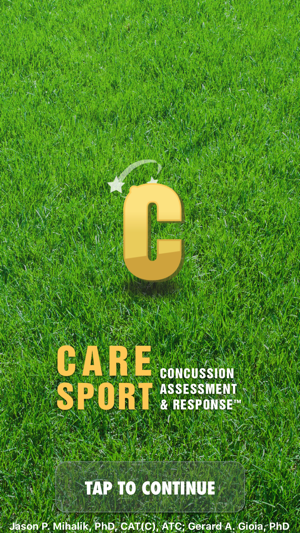 The Concussion Assessment and Response™: Sport Version (CARE) is an app that helps athletic trainers, team physicians, and other qualified health care professionals assess the likelihood of a concussion and respond quickly and appropriately to this potentially serious medical situation. CARE provides instruction and helps document details during injury assessment and aids in tracking the recovery process. 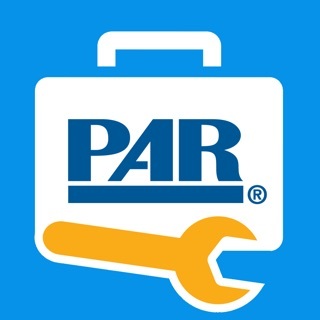 Assessment information recorded by the app can be e-mailed to physicians or other medical professionals. 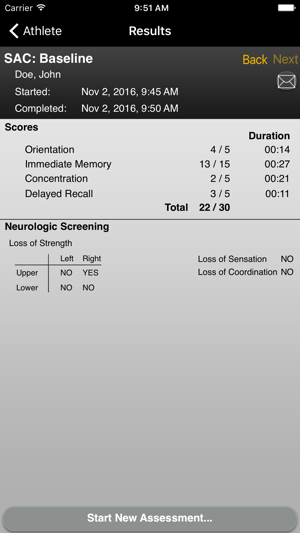 CARE also allows users to assess an athlete's readiness to return to play with a step-by-step testing regimen. 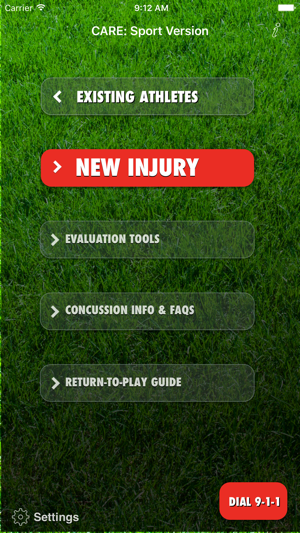 From the instant a player is injured, the user can select "New Injury" to be guided through a primary emergency survey that helps rule out a cervical spine injury, evaluate concussion signs and symptoms, and assess cranial nerve function. The app provides CPR cues for unresponsive athletes with no pulse and helps the user assess other serious signs of injury ("red flags") and provides a quick link to dialing 9-1-1. The BESS evaluates an athlete's ability to maintain postural stability, providing important information about loss of balance in an injured athlete. CARE provides instructions for guiding an athlete through the BESS stances: single leg, double leg, and tandem. The app makes it easy to record baseline performance for healthy athletes; then, if an injury is suspected, the BESS can be administered again and the results compared to the individual's baseline. The SAC assesses the mental status of the athlete. Its questions address orientation, immediate memory, concentration, and memory recall. The SAC also enables the user to record neurological findings such as presence or loss of sensation, strength, and coordination in the athlete. SAC data can be recorded to provide baseline performance for each athlete; then, if an injury occurs, the SAC can be administered again and the results compared to the baseline scores. 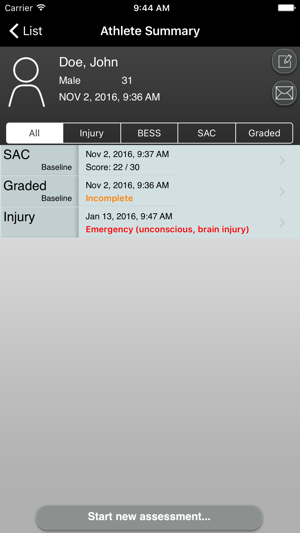 This tool enables users to track the severity of post-concussion symptoms during the athlete's recovery process in quantifiable terms. Users first select the timing of the assessment by choosing baseline, injury, post-game, or recovery and then rate the severity of each symptom on a graded scale from 0 (no symptoms) to 6 (severe). 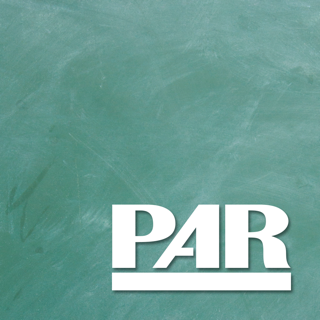 This tool helps protect athletes from further injury by guiding them through a daily gradual physical exercise routine that tests their tolerance for exertional activity. Through a five-step, tiered workout routine, users ensure that the athlete is able to handle the exertional exercises as they progress toward their return to play. I love this app I've been using it for my baseline testing this year. Only a couple of changes I wish that you could look up athletes by sport. Also if sports could be separated in the existing athlete tab life would be easier. 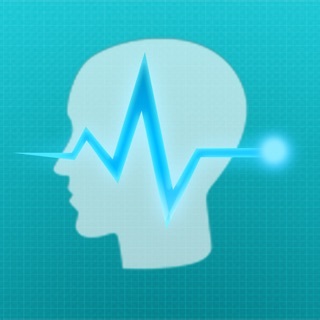 But overall I love this app the cranial nerve update was great. Much more comprehensive than the SCAT2 since it includes cranial nerves and neurological testing. Great reports to save and share. 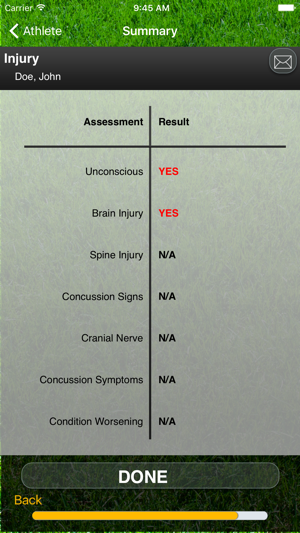 If you're a healthcare professional dealing with concussions in sports you should have this in your pocket.